• Sustainability: Are you a leader or a follower? There can be few people on the planet who would own up to not favouring sustainability. There might be a few insensitive half-wits and fully-fledged morons who, with rare candour, openly oppose it, but almost all broadly sane, vaguely intelligent, half-decent people will cast their vote for sustainability. A fair number of them, though, will have only the most rudimentary idea of what they are voting for. This is not surprising because the reality is that ‘sustainability’ is high on the list of history’s most talked about, most written about, most feel good but most opaque, most clichéd, most misused and least understood all time concepts. Prescriptions, descriptions and definitions abound; often unhelpful, sometimes contradictory and almost always partial. Sustainability is now a potent marketing tool, a commonplace political mantra and the sort of personal creed most of us bring out on Sundays, high days and holidays but largely ignore the rest of the week. Whether in business, politics and policies or in our personal lives, sustainability is difficult to practice, even if we wholeheartedly want to. In the run up to the Sustainability Roundtable at H&C EXPO at the Celtic Manor July 17-18, which our group Beyond GM is co-hosting, my colleague Pat Thomas and I were invited to contribute a series of challenging articles on sustainability. We have pointed out some of the difficulties and contradictions in seeking sustainability in the food and farming sectors. We have also highlighted that sustainability is complex; it’s not just about energy, resources, waste and pollution, it is also about health, wellbeing, tradition and culture. It has a technical side too that encompasses technology, logistics, social and political cohesion. It also requires boundaries and therefore, trade-offs within those boundaries. One thing we haven’t stressed to date though, is the inherent conflict in trying to be sustainable in a society where all the rules, codes, economic and structural imperatives are embedded in and built upon an entire history of unsustainable behaviour and activity. Against this backdrop activities like the Sustainability Roundtable, which provides much needed space for discussion and debate – become vitally important. For example, how can a caterer develop a truly sustainable supply chain when it’s likely to be more expensive than an unsustainable supply chain, especially in an economy that gives more financial rewards to unsustainability? The answer is that while some can manage it most can’t, and unfortunately, too many do little or nothing whilst repeating the mantras and employing the slick PR jargon that fools everyone, including themselves. This is understandable, but it simply isn’t good enough in a world of finite and diminishing resources, where radical sustainable policies and practices are needed if we are to halt the slide to destruction our society is on. It especially not good enough in a sector like farming and food provision, which involves the fundamental drivers of any society – the management, use and distribution of finite natural resources and their products. These are the issues which have been on our minds as we consider the forthcoming Roundtable and what we hope may come out of it; and they have clearly been on other people’s minds too. The recently published Chefs Manifesto – which lays the groundwork for actions that chefs can take to contribute to the United Nations Sustainable Development Goals – declares that “Food has a great power to transform lives and is the most inclusive tool to reach the largest number of people in need” and that “chefs are at the heart of the global food system” and can influence what is grown, how its grown and how it’s used and misused. The chefs who are backing the manifesto and its accompanying action plan have resolved to be leaders in seeking sustainability and are introducing ways to implement it within their businesses. However, the dynamics of high-end restaurant businesses are very different from other areas in the hospitality and catering sectors, so there is no single blueprint and no universal action plan though maybe there are common steps and shared learning to be explored. In addition, not everyone can be leaders, so as well as willingness to lead there has to be capacity, opportunity and support. 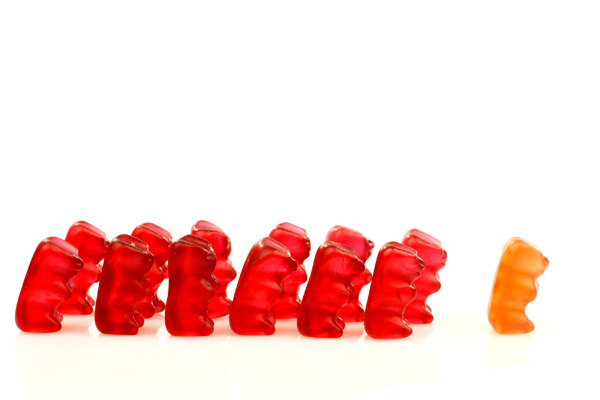 Conscientious and committed followers who do what they can, as often as they can, are just as important – arguably more substantially important – to bringing about lasting change as cutting-edge leaders. What we can’t afford are free loaders and easy riders who do nothing but peddle the buzz words. We will be exploring these themes at the H&C Sustainability Roundtable at the Celtic Manor on July 18 – and our hope is that from this small beginning we can begin building a hospitality and catering manifesto and action plan for sustainability. Please join us. 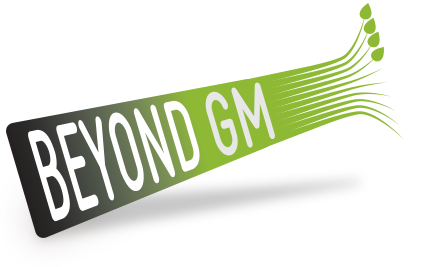 Beyond GM will be co-hosting the Sustainability Roundtable at the H&C Expo, at the Celtic Manor July 17-18. This article first appeared in Hospitality & Catering News, the fourth and final in our series challenging chefs and others in food service to consider more deeply the many issues around sustainability. See also: What’s in a name? The battle for food authenticity, integrity and sustainability, Dead ends on the road to sustainability and Something fishy about sustainable fish, chef?